Many businesses are learning a hard reality in 2019. It’s more difficult than ever to reach your potential customers through paid advertising. The simple truth is that people don’t like advertisements. And they’re doing something about it, namely installing ad blockers. Currently, over 615 million devices use ad blockers, a number that continues to rise. So how do businesses get around ad blockers and reach their intended audience? Content marketing is the answer. Specifically, we’re talking about creating a company blog and posting helpful posts. That’s the subject of today’s post as we reveal seven ways that writing blog posts can benefit small businesses. For most businesses, their advertisements and even their products, services, and web pages sound like brochures. They don’t cut very far below the surface to give a real glimpse into the personality and motivations of the company. When you have a blog, you can write posts that tell your company’s story just the way you want it. It’s not an ad or a comment from a critic or competitor. It’s your words and your voice. Writing blog posts allows you to take it a step further and help your customers. Each blog post can answer a question, concern, or problem your customers face. This way, your brand becomes personable and friendly. In addition to your blog, you can build your brand through your social media channels. You can even monetize your social media content. For example, here are seven ways you can improve sales through Instagram. Without a blog, your company website is more like an online brochure. You’ve got pages that describe your company, your products and services, and a contact page. But most business sites get limited exposure from these core pages. So the question is: with billions of websites essentially doing the same thing, how will your site stand out? Writing blog posts gives you that opportunity. Your customers face issues that go beyond your products and services. Writing blog posts allows you to provide value beyond your company’s offerings. These blog posts give customers more reasons to pay attention to your brand. Having a blog provides you with the platform to create content as often as you like. When you consider that each blog post you create is a doorway to your site (and your company), you should post as often as you possibly can. Write blog posts around keywords that your customers are searching for. Create content to solve problems your customers face. Consistently creating content that truly helps your potential customers is the way to get more traffic from Google and other search engines. Blogging starts with service. You create blog posts that help people solve problems. In turn, people like to do business with those who help them. In this way, blogging turns your traffic into leads and your leads into customers. This is lead nurturing through blogging and content marketing. According to research, companies adept at lead nurturing spend approximately one-third less on lead acquisition while generating nearly 50% percent more leads through their content. Publishing a blog and creating posts about important topics will establish you as an authority in your industry. It will add to your professional image, particularly as others begin to share your posts and respond positively to them. The key is to establish yourself as a key resource. When your customers need information, they should turn to your site knowing they can get the answers and solutions they seek. The more your readers turn to you for your resources, the more likely they will be to turn to you when they need to make a purchase. A blog brings life to your site. And when you create blog posts, we recommend leaving the comments section open so your customers can engage with you. Over time, your comments section will grow and you’ll soon have a bustling community of readers interacting with you and each other. Moderate your comments section intently to make sure everything is in line with your organization’s core values. The community you’re creating is going to become an important part of your company’s growth, so treat it with care. The beauty of blogging is that it gives people the opportunity to share your work through their social media channels or directly through email. A well-crafted article that provides immense value to the reader can go viral and boost your exposure online. In 2019, your email list is vital to your company’s growth. To that end, every blog post you write should include at least one opt-in opportunity for readers to join your email newsletter and stay engaged with your company. You don’t want people to read your content once and then disappear. Instead, you want to them to receive alerts about new content along with promotional material for your offers. Your email newsletters should link to new, value-driven blog posts you create to keep building trust and authority with your readers. Then when you do have something to sell, your readers are “warm leads” and less resistant to hear your pitch. “Why blog?” you ask. Because this is business in the 21st century. A blog in 2019 is what a business card was in the 1990s — it’s your digital calling card. 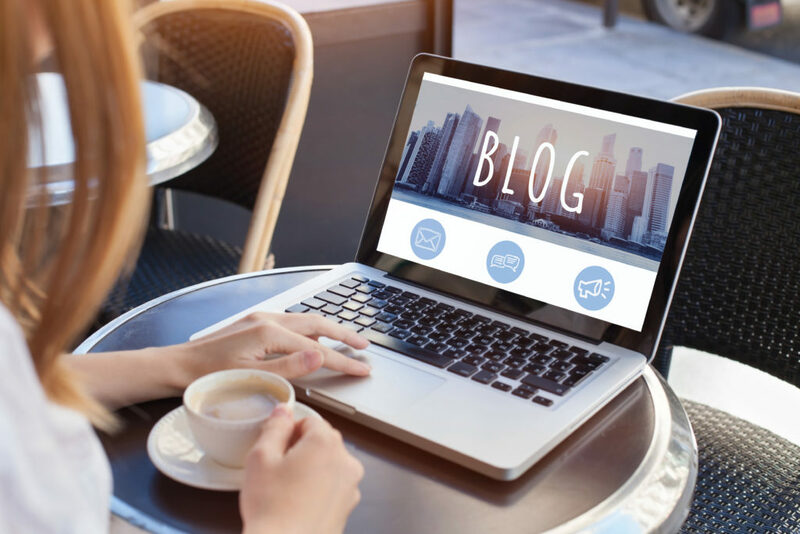 The trend to block ads is at an all-time high, so a blog is a friendly and helpful way to reach out to your potential customers. Consistently creating blog posts is how you build trust with your readers, as well as more search engine traffic. These posts should be integrated into a full-scale content marketing strategy that includes outreach to your customer base through other outlets, such as social media, email, YouTube, podcasts, and so on. If you found this article helpful, check out our other blog posts for more tips!